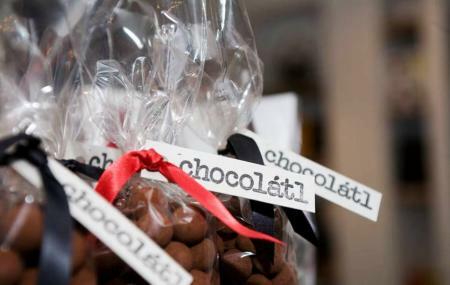 Chocolatl Amsterdam is one of the best destinations in Amsterdam to relish amazing chocolates. The destination is a good way to get to know the local taste and makes great souvenirs. So visit the destination and indulge in a flavor ride that is sure to make you come back for more. The shop which had opened up in 2010 has gained much popularity and today is one of the most prime destinations to enjoy the delicacy. People normally club together Jordaan and Anne Frank House while planning their visit to Chocolatl. This was such a fun place to find! We randomly walked past it and decided to go inside since non of you had ever been to a chocolate store before. The service was superb! We got a mini lesson about chocolate and got to taste the difference between different chocolates. We even got to taste a chocolate bean and the fruit around the bean, it was so good! We all ended up buying something. Would absolutely recommend! The best shop in Amsterdam! A great selection of bean to bar chocolate from all over the world. The owner is very helpful and knowledgeable. The place to go for chocolate lovers. Best hot chocolate in Amsterdam! You can find amazing chocolate bars here. Not for the faint at heart. This is a real chocolate store well curated by the owner. A small temple of bean to bar artisan chocolate. The offerings are carefully curated. The owner is an educated connaisseur and it's a joy to listen. It's highly recommended to reserve at least half an hour for this eclectic sensory experience. Amazing chocolate place. The owners are experts in chocolate and the have some amazing tastes on offer. Place to go!